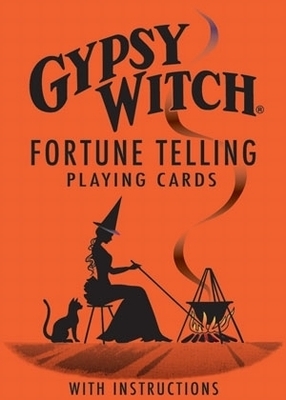 Gypsy Witch Fortune Telling Playing Cards deck provides an easy-to-learn method of divination. 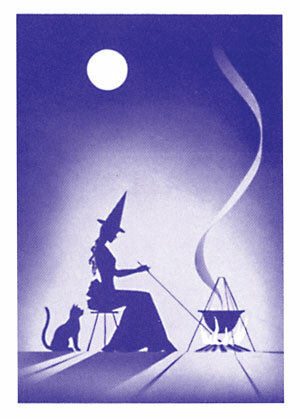 Each Gypsy Witch card is numbered and displays a pictorial illustration of the card's symbolic meaning. 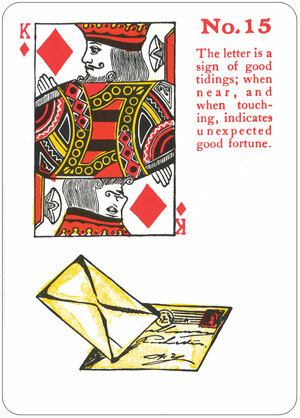 Individual meanings of the cards are also written on the card faces. Standard cards are shown in miniature in the upper left corner. The card pack includes a small instruction booklet with two methods of laying out the cards for a short reading, and a long reading. 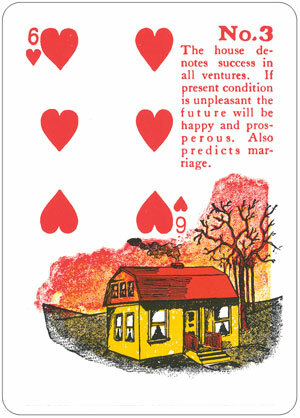 The significance of each card is determined by its context and position in the layout. Gypsy Witch Fortune Telling Cards are based on the divination system attributed to Mademoiselle Lenormand, the celebrated 18th century French mystic and fortuneteller. Mlle Lenormand's prophetic powers were known throughout Europe. She predicted the rise and fall of Napoleon with astounding accuracy. Gypsy Witch Fortune Telling Playing Cards were first introduced in 1903 and have been published continuously since. They remain one of the most widely recognized and popular fortune-telling decks in the U.S.A. The Gypsy Witch deck contains Jokers and can be used for traditional card games, as well as cartomancy.